The work that goes into running a successful and profitable cryptocurrency mine is complex and exhausting. As digital currencies have boomed, so have mining operations—big and small. But, by design, mining has also become significantly difficult. Casual mining, or hobby mining, is slowly becoming a thing of the past. Those who want to stay in the mining game constantly look to improve, innovate, and keep up with the profitability curve. Controlling all the variables of a mining operation to keep it running smoothly requires a lot of man-hours and plenty of complex balancing: from energy consumption to performance gains to stability. This is not always possible for mere humans to get right, but easyMINE believes it has a smart solution: the Intelligent Mine Management Platform. Mining requires careful optimization of dozens of operating parameters. To leave these in the imperfect, analog hands of human managers is not only expensive and time consuming, but also intrinsically inefficient. 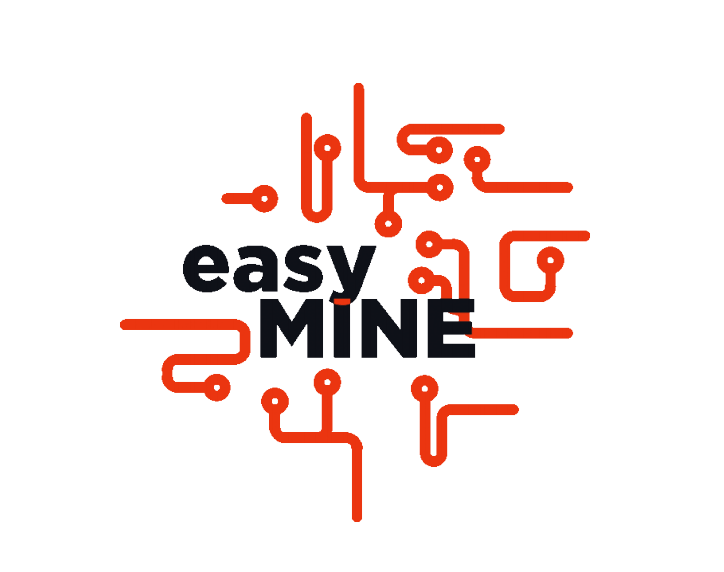 For easyMINE, the answer involves essentially removing the need for human supervision—but not by simply automating the process of running a mining operation. The easyMINE team has put forward a technology that not only controls basic settings and eliminates downtime caused by crashes and freezes, but also has the ability to learn. Developed specifically to maximize efficiency in mining, the ACMS is responsible for: firstly, reducing downtime; secondly, actively improving overall efficiency; and, finally, implementing long-term operating strategies. Level one of the ACMC handles crash prevention and response. This is intended to minimize unnecessary system downtime by anticipating and averting freezes, reboots, and shutdowns. More impressively though, easyMINE claims that, at the second level, ACMC actively seeks to improve the overall efficiency of the mining process by modifying various operating parameters and evaluating the resultant patterns of behavior. Finally, thanks to its self-evaluating and self-modifying capabilities, the ACMC learns from its own mistakes in order to enact a long-term strategy that will be best suited for the user’s mine. The team are eager to point out that easyMINE is not just a idea, but a working product. At the moment, the system is used to run their own mining operation, where it successfully controls several dozen machines. Invitation-only beta tests are set to commence in a few weeks, with open-access beta to follow shortly thereafter. Full release is planned for 2018. The easyMINE ICO, ongoing since August 24, has raised approximately 1 million USD for further project development. The crowdsale will continue for another month.